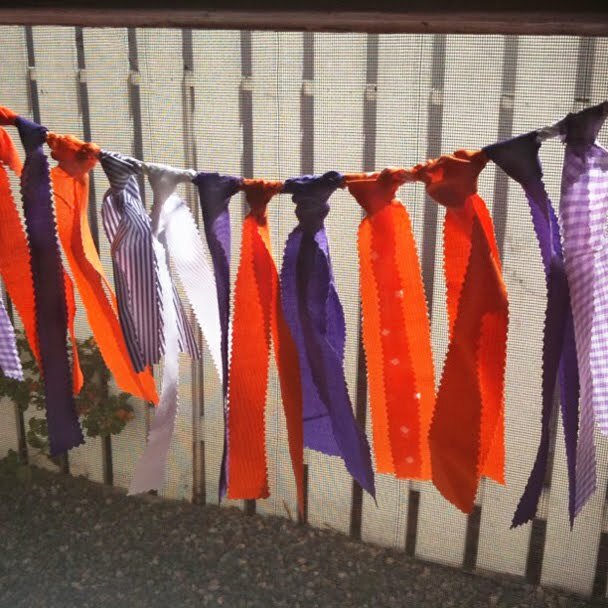 Blue Lemon Provisions was started earlier this year by two creative sisters and Clemson alums, Jenna and Whitney Gibson who wanted to sell their adorable, handmade ribbon party ropes and ribbon boutonnieres. They are available in a variety of patterns and colors and are perfect for weddings, parties, or just for fun. The sisters and their ribbon products have already been featured in Brides magazine and on Brides.com. Of course as Clemson alums, they created their products in Clemson colors just for Clemson fans. The Party Ropes are a fun decor item that can be hung almost anywhere and priced at just $40. 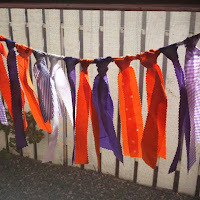 From your tailgate to your table, the ropes make a great addition to your orange and purple inspired event. Each rope is handmade using an 8 foot rope with 6 feet is covered in hand cut and tied fabrics. 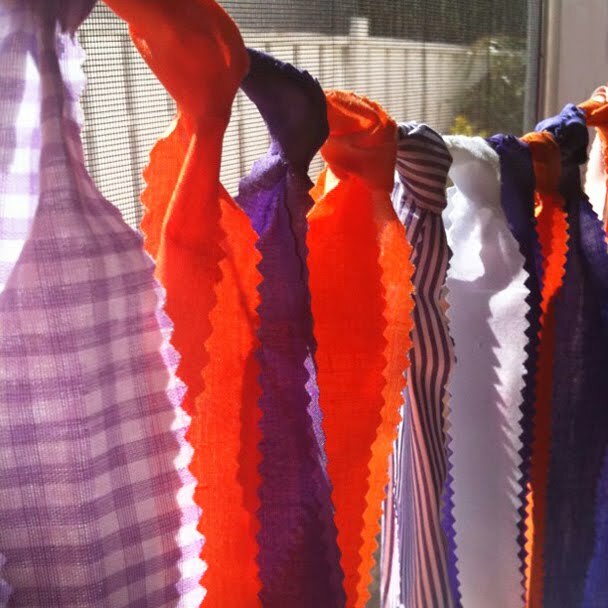 With 8 to 10 varieties of orange, purple and white solid and patterned fabrics, each rope is one-of-a-kind. Use a single strand to enhance your tailgate or add multiples for a personalized look. 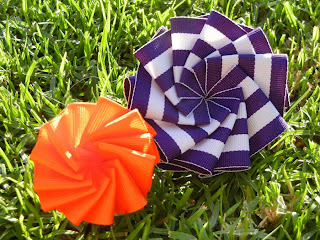 I love their Clemson colored boutonnieres. 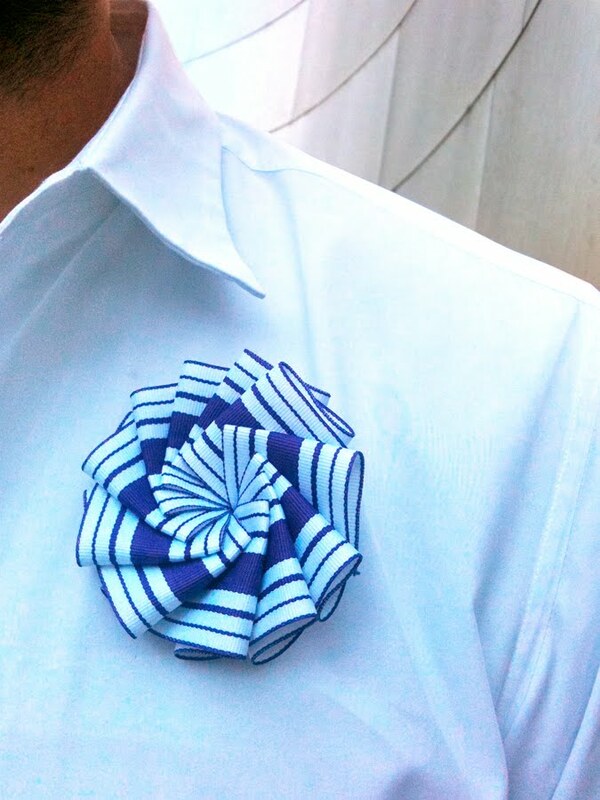 Boutonnieres don’t have to be strictly for special occasions. They make the perfect accessory for your gameday outfit. How cute would these look pinned to a simple white t-shirt paired with jeans? Or pinned to your gameday dress? 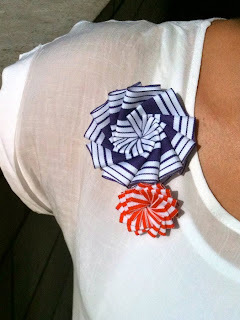 You could also dress up your accessories by pinning them to your scarves, handbags, or jewelry. You could buy a variety in different sizes and pin them in a cluster or just wear one. The boutonnieres vary in size: Standards measure approximately 1.5 inches, Classics measure 2 inches, and the Royal measures 3 inches – each priced at $20 or less! Each boutonniere is made by hand with unique ribbon, felt backing and a pin for easy attachment. 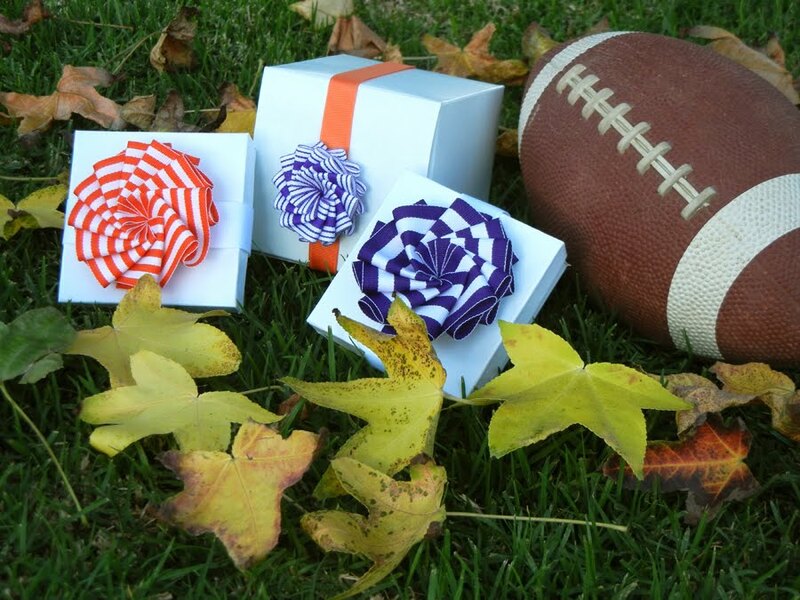 These boutonnieres would make great gifts for the Clemson fans in your life…each boutonniere comes prepackaged in lovely glassine bags, so they are ready for gifting. Or you dress up a gift and add a boutonniere to an already wrapped package. How adorable is that? Visit Blue Lemon Provisions website to shop their amazing selection. 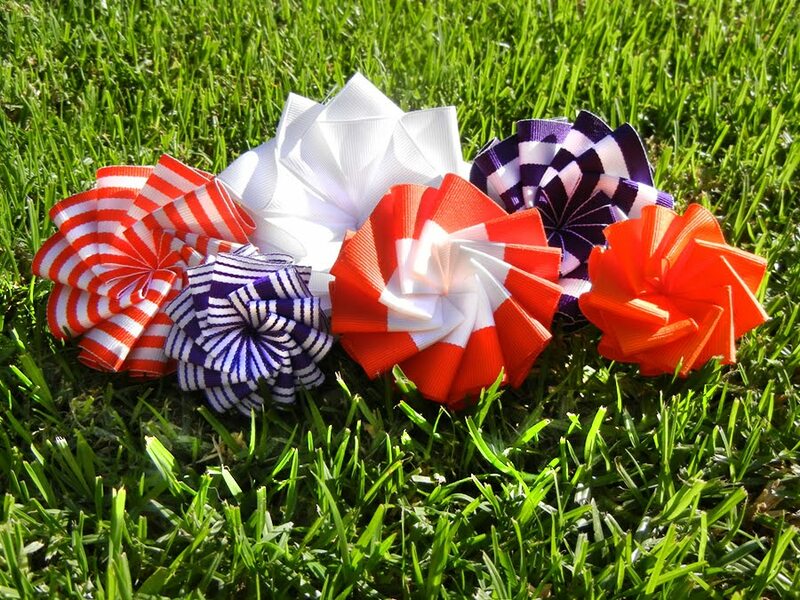 Jenna and Whitney have taken 15% off of all of their Clemson colored products! You can also inquire for more info or make requests for custom orders by emailing them at whitney@bluelemonprovisions.com. 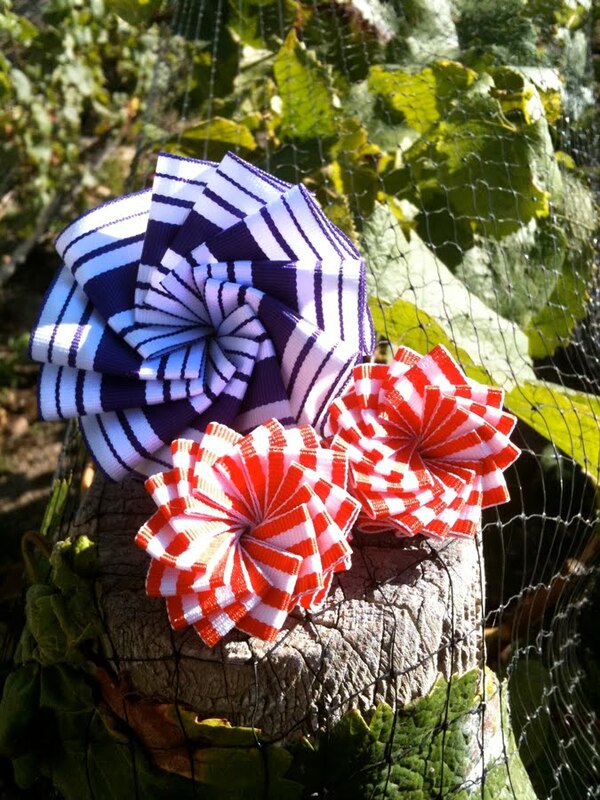 Jenna and Whitney of Blue Lemon Provisions would like to give one lucky Clemson Girl a 3 boutonniere pack, a $50 value. 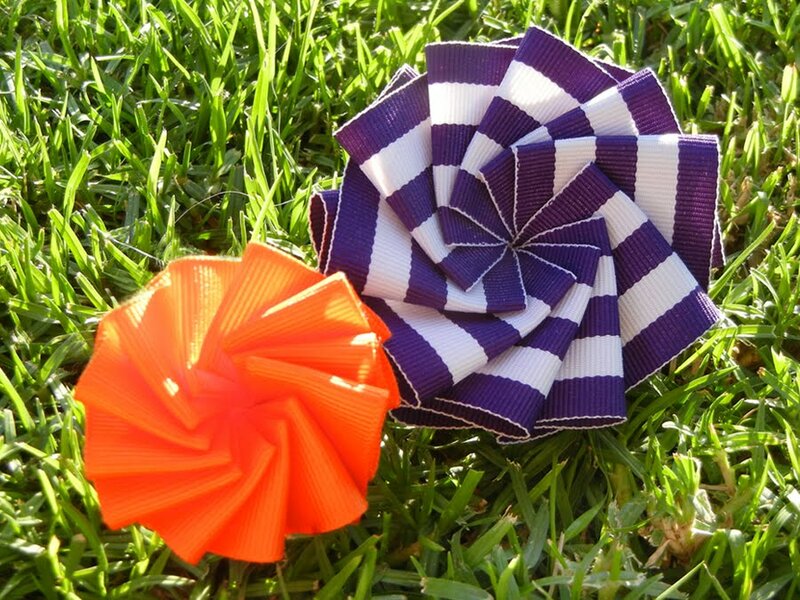 The prize package includes two orange and white mono stripe and a perfect uneven purple stripe boutonnieres. 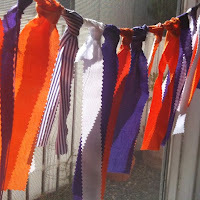 Pin them all together, wear them one at a time or give them to your favorite Clemson Tiger! Tweet about this giveaway on Twitter – include a link to the post and copy us, @clemsongirl (1 entry). Email a link to this giveaway to two friends and copy us on the email, clemsongirlblog@gmail.com (1 entry). Deadline for all entries is tonight at 7pm EST – we will compile all of your entries, randomly draw a winner and announce the winner’s name on the blog around 8pm EST. The winner has until 5pm EST on Thursday, Oct. 6th to claim their prize or we will draw a new winner. We love today’s giveaway – don’t miss out on the chance to win a fabulous prize! Good luck! April V, from Seneca SC! love those boutonnieres.... maybe for a summer wedding? I became a fan no facebook!